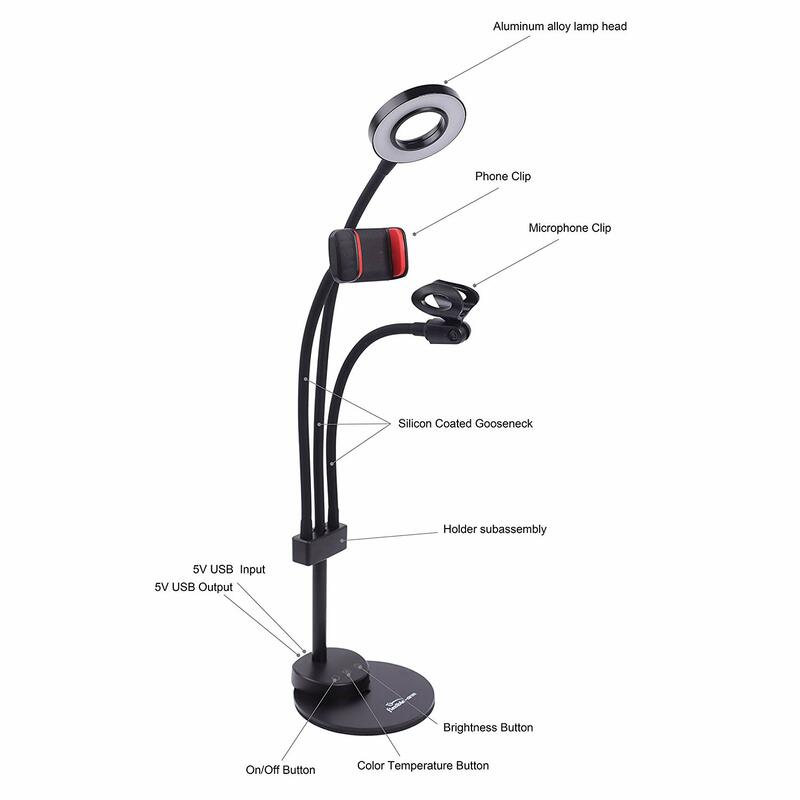 Live Stream,Flexible Gooseneck Holder Lazy Bracket Table Lamp for Bedroom,Office Ect. 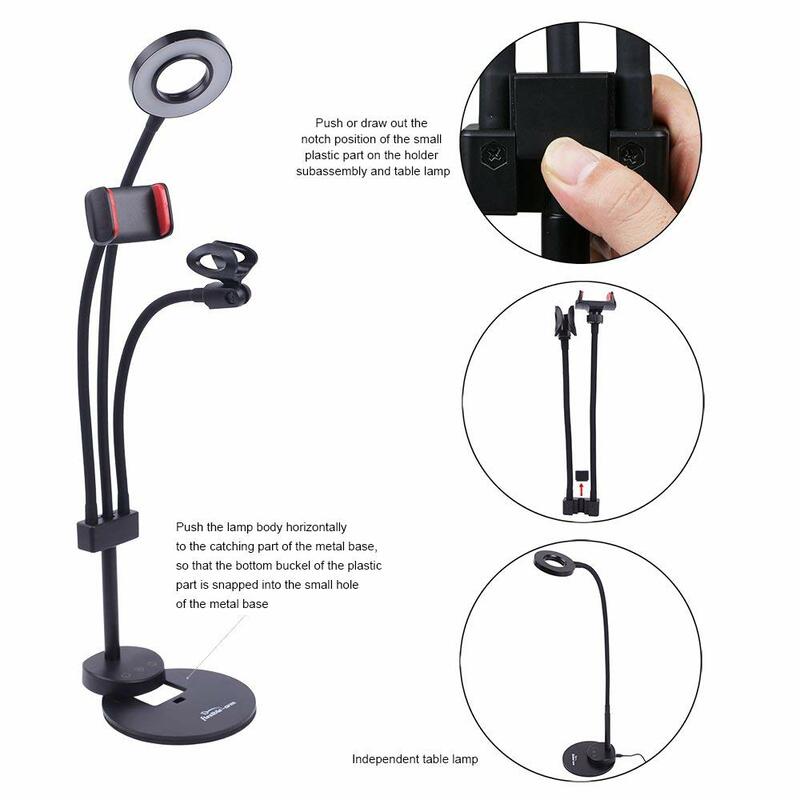 - 360 degree rotating phone holder,free to adjust any angle as you like for convenient reviewing,taking pictures or shooting videos. - Width is 2.28 inch minimum to 3.15 inch maximum,will compatible with most of smart phones,like iphone 7 plus,7,6,6s,5,5s,4,4s/iPod touch/Samsung/LG/Huawei/HTC,ect. 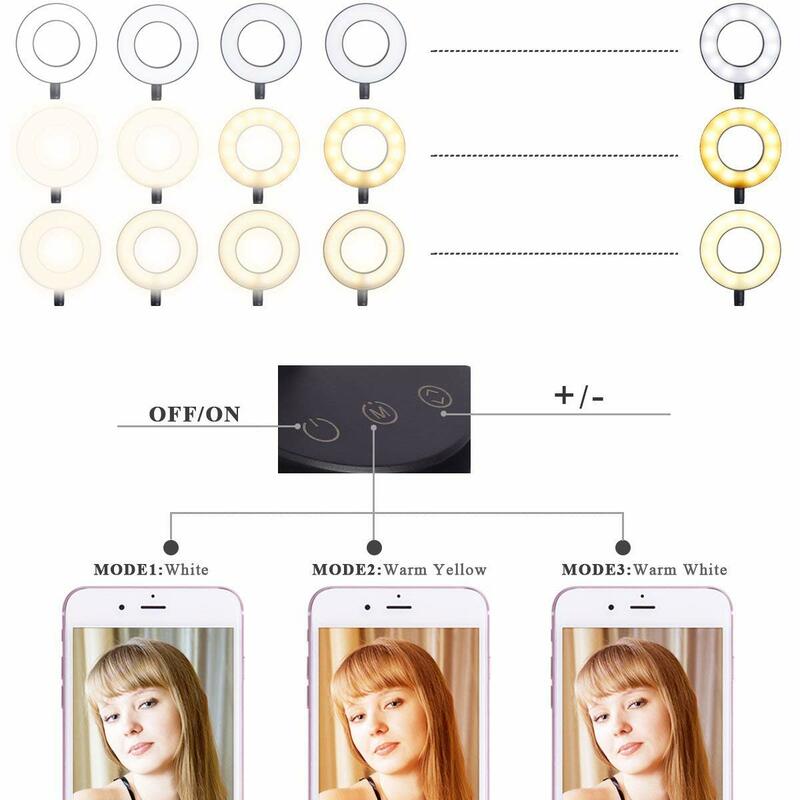 Selfie Ring LED Light: - The led light design with 18 adjustable brightness for your choose,meet all your needs in different circumstances. taking photos,making videos,reading books and live streaming! 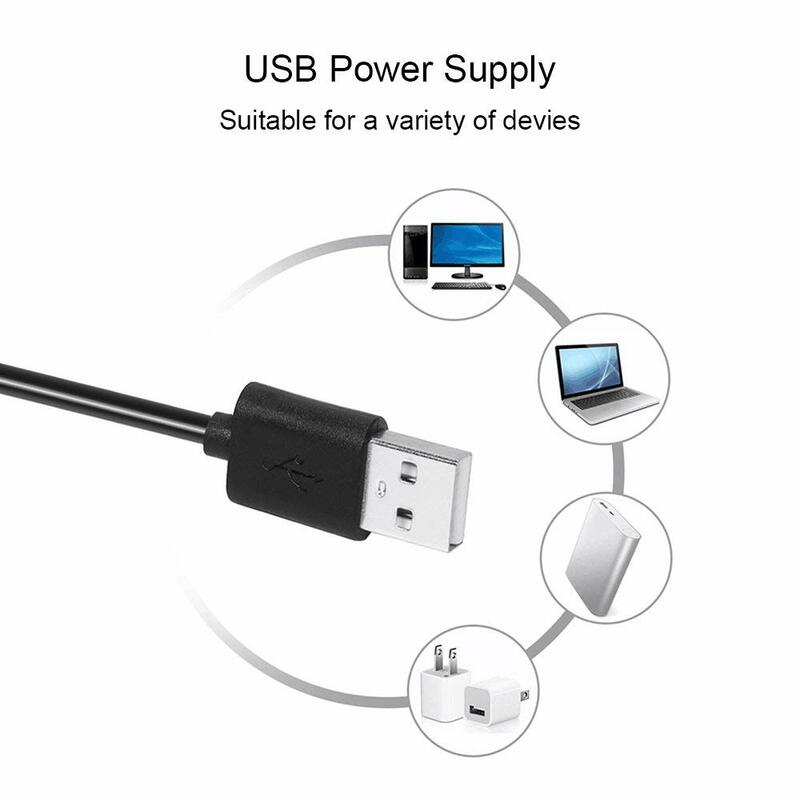 - Adopt usb port,work with multiple devices. 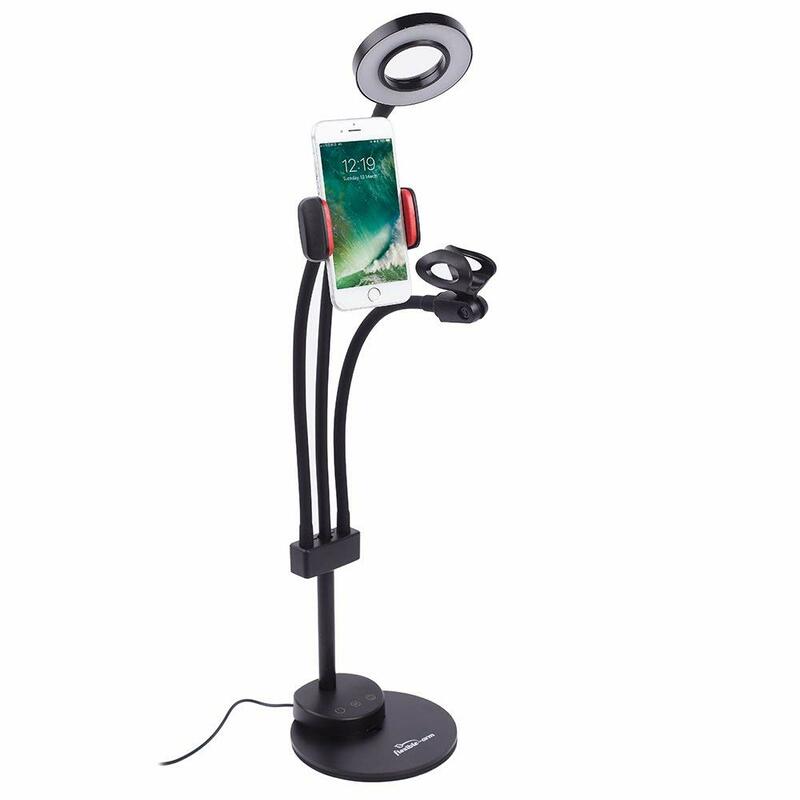 You will be able to enjoy both the lamp and the cell phone holder at any time freely! 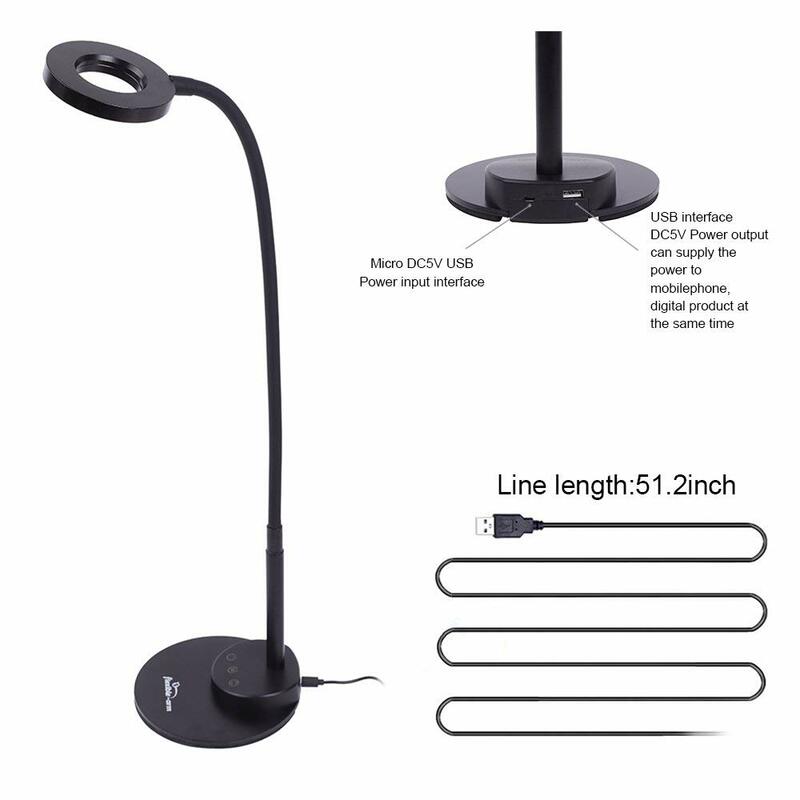 - Touch control Switch button to adjust the best brightness and colors for your needs.